Good news of Great Britain at the Junior World Championships. 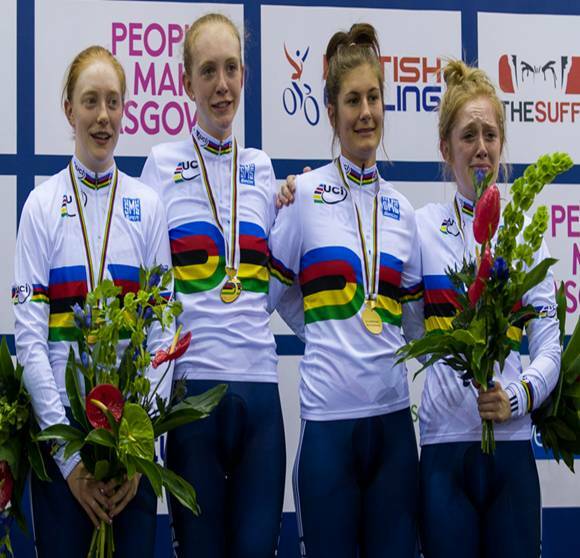 For those of you who missed it here is Great Britain winning gold in a world record time in the Womens Team Pursuit at the Junior World Championships in Glasgow a little earlier. 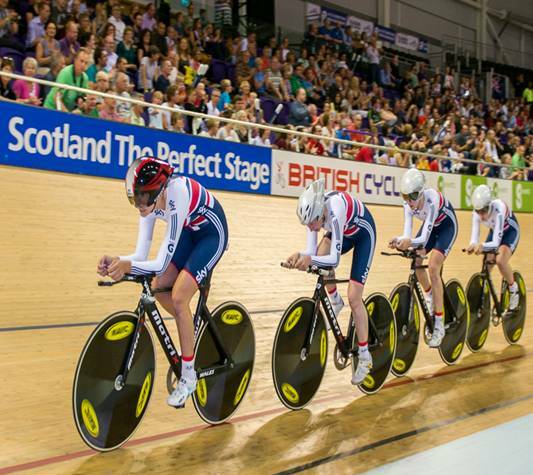 The more attentive amongst you will notice that 2 of the ladies are on their shiny new Matrix Pursuit bikes. We're very proud! We had it wrong - it wasn't 2 it was 3 of the 4 bikes were Matrix taking the new world record ..... even better! Brief report of the final attached. "In the final Russia was inside yesterday’s World Record but the Great Britain quartet o⋯⋯f Emily Kay, Emily Nelson, Amy Hill and Hayley Jones were on another level. Behind the Australian’s splits at the halfway mark they drew level with four laps to got - then took another two seconds off the record by the finish to give the home team its second title of the week."